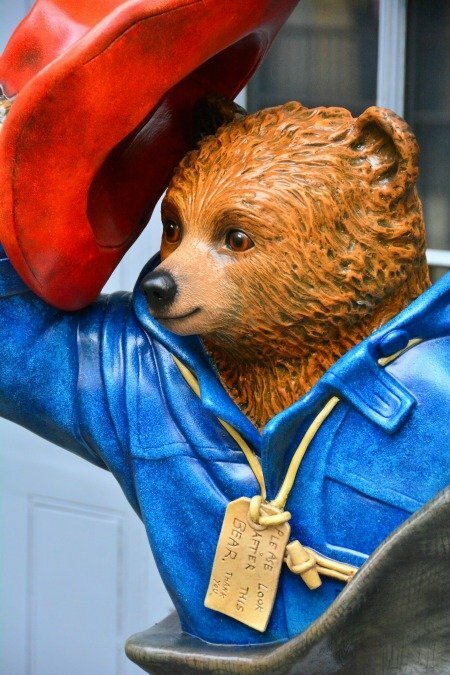 A children’s literature classic – Paddington Bear! London: the natural habitat of an octogenarian monarch, financial corporate behemoths and terribly serious men with bowler hats. Wonderfully, not much has changed at Buckingham Palace when A.A. Milne wrote this poem in 1926 about Christopher Robin of Poo Bear fame. The pomp, the circumstance, the sentry box’d guards are all still there. I have a high-ranking military source who can also confirm that sergeants still look after the guards’ socks. But this last tidbit is all very hush hush so be careful with whom you share. Anyone older than say 10 is probably not be trusted. 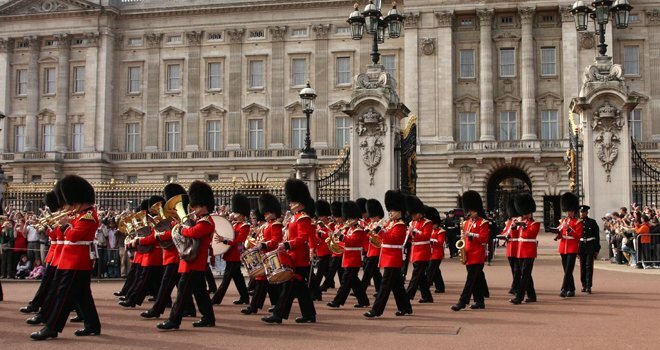 However, children and adults of all ages will still enjoy the Changing of the Guard with all its colour and pageantry. I dare you to try and make one of the sentry guards blink, never mind smile. These are well-trained men who take the British “stiff upper lip” to the extreme and are amongst a select few of humanity who can carry off with style and aplomb the sartorial triumph of a bearskin hat. 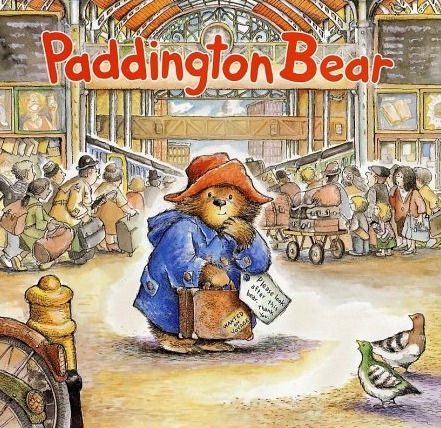 Speaking of bears let me introduce you to another British children’s classic, Paddington Bear. 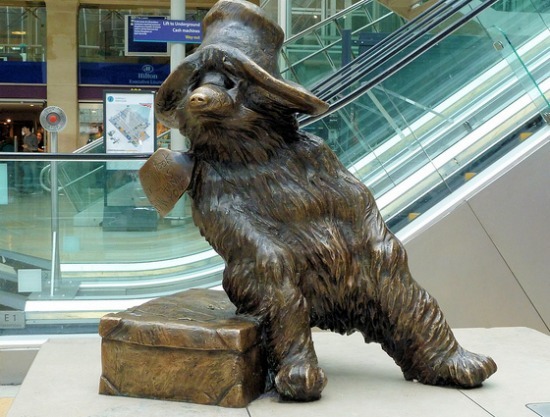 In 1958 this ursine orphan from Deepest, Darkest Peru arrived at Paddington Station with a penchant for marmalade sandwiches and a quest to find a family. Should you pass through the station whilst enroute either to or from Heathrow, do pause a moment. Find a bench to sit with your progeny, read them the story and have a calm moment to pay homage to the creature that saved the British duffle coat industry from extinction. 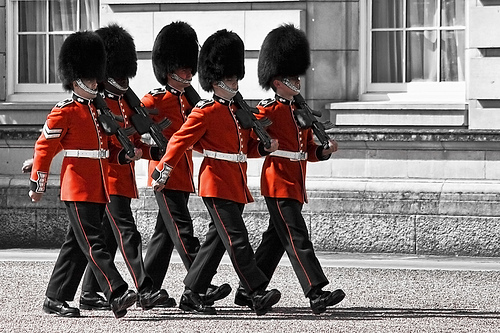 (May I also note that NO Paddington Bears were harmed in the making of the Guard’s bearskin hats. A few Canadian black and brown bears were, but definitely no Paddingtons). But back to train stations. 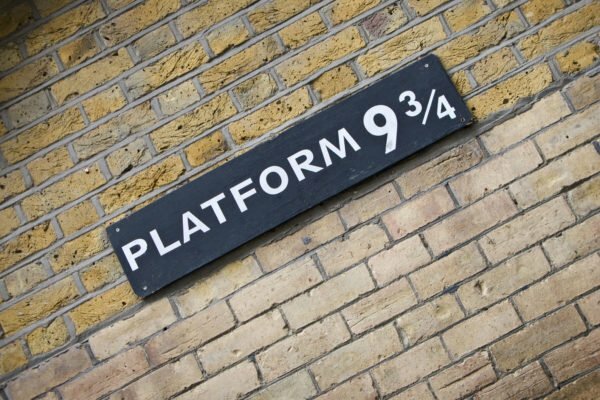 You can’t come to London with a teenybopper or teenager without going on a pilgrimage to Platform 9 ¾ at Kings Cross Station where boy wizard, Harry Potter began his journey to Hogwarts School. Unleash your children and let them seek out this mythical platform, hidden away somewhere in today’s station. Continuing on the Harry Potter theme you could visit the official Warner Brother’s Studio outside of London where all the films were made. Alternatively, why not make your own adventure without whizz bang pyrotechnics and computer animation? A spot of imagination goes a long way. 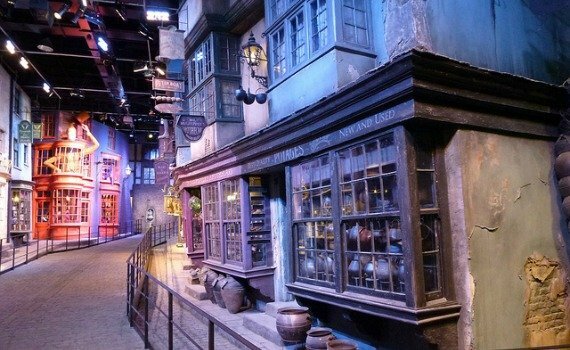 Visit the Harry Potter film set and walk down the “real” Diagon Alley! I’d suggest leaping on the Central Line to Liverpool Street Station where within a 5-minute walk you’ll find yourself delightfully disorientated in the alleyways around Spitalfields. 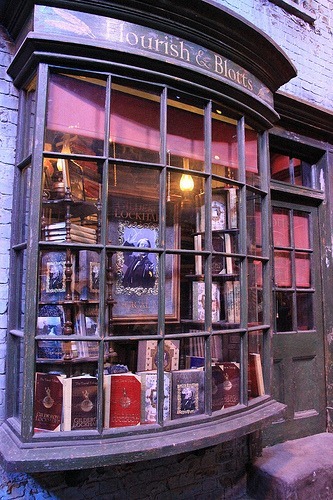 Let the children create their own Diagon Alleyin this Dickensian corner of London whilst you absorb the 19th-century history and charm.After all this charging around, it’s probably about time to sit down and have a moment of quiet reflection on the day’s literary adventures. Do pop along to Waterstones (formerly Simpson’s) of Piccadilly, a magnificent Art Deco bookshop where you can purchase a souvenier tome or two for the kids. After this head straight to the top of the store, where the 5th View bar and café offers superlative views of the city skyline, a chance for the children to quietly read their newly acquired books and Mother and Father to imbibe a well-deserved gin and tonic. 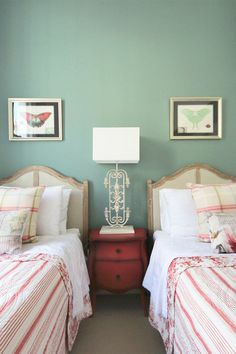 Thank you to Zoë F. Willis for this lovely guest post. 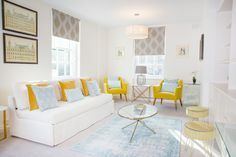 Zoë is a London Perfect reservationist, writer, mother and Londoner. Visit her blog Things Wot I Have Made to find out more about Zoë’s many creative talents! Photo credits: Changing of the Guard by Gabriela Villena Fernandez, Paddington Bear by Gordon Bell, Diagon Alley by Karen Roe. Posted on Tuesday, September 25th, 2012 at 4:59 pm in See & Do. You can follow any responses to this entry through the RSS 2.0 feed. You can leave a response, or trackback from your own site.